Map Scales. 1:25k. 4cm = 1km; Convert Map to World (cm/4=km) ie 2cm/4 = 0.5km. Map Scales. 1:25k. 4cm = 1km; Convert World to Map (km*4=cm) ie 1.5km*4 = 6cm. 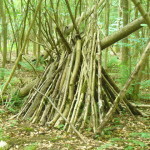 Mountain Rangers will also design and build traditional bivouacs.